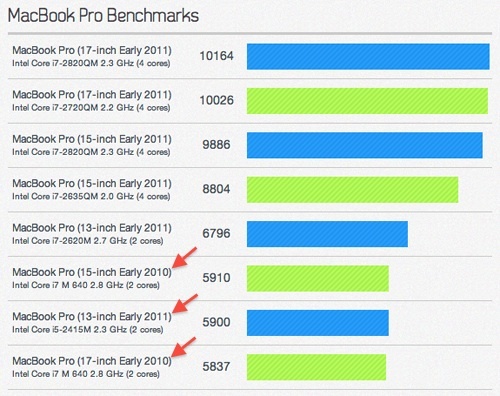 Apple updated their MacBook Pro’s last month with super fast Sandy Bridge stuff. They also got the new Thunderbolt I/O technology which is brand new so there’s basically nothing out there you can connect to it yet, but I’m sure it will come soon – I’m just not sure what we need that much speed for just yet, at least not us normal people. 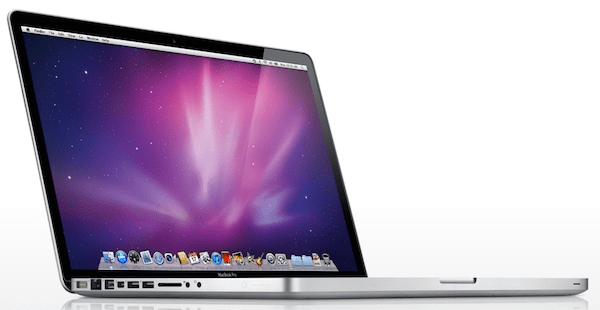 Anyway, new MacBook Pro’s also got AMD graphics, so bye bye to Nvidia in those new MacBook Pro’s. Would I want one? Of course! Will I pay for it? Uhm, no, not right now. I got a pretty good MacBook Pro with i7 processor from last year which is great – and it was insanely expensive since I needed it with 8GB of memory – so replacing it is definitely not in my plans for this latest MacBook Pro upgrade cycle. I could definitely use some more power when editing RAW files in Aperture 3. Even with my Aperture 3 performance/speed fix, it still shows spinning beach ball quite often while it works. Just FYI, a new Sandy Bridge 15″ MacBook Pro i7 with 8GB of memory will cost $2,400, plus tax I guess. I don’t know how much tax is in the US but let’s just say 8% which I think is what it is in New York, more or less, right? So that’s almost $2,600. If I were to buy the same machine, locally, it would cost me $3,360 including tax though. Quite a difference. I would maybe have thought about it if it was $2,600 like in the US. So I’m waiting for the next MacBook Pro upgrade, hopefully around this time next year. Maybe it will even come in a different/new design? SSD instead of spinning hard drives: SSD’s are fast, quiet, use less power (I think?) and more durable than a 7200rpm spinning disc. I wouldn’t want one with less than 512GB though. Re-design: I love the current design, but maybe they could change it a little bit? Just to make it stand out as “new”, especially if it comes without optical drive and with SSD or something. Even better battery: Would be possible if that useless optical drive is removed. Thinner: Would (maybe) also be possible with the optical drive gone. But I’m not unhappy with the current size, so if it were to be the same as now, I’d still buy it. Your post make me reference about MacBook. All this time, I use Acer NetBook, and I’m thinking to sell it, and get MacBook to help me on work. But, I still look for more information about MacBook. I am quite impressed with the Sandy Bridge processors and Thunderbolt stuff. I agree about the battery. .. no point giving us lots of features if the battery don’t last. I’m waiting to upgrade until SSDs become bigger as well – and that will actually improve battery time and allow them to make the laptop thinner all by itself. Just a matter of time – and cost! I also agree with your wish list. Got to make it lighter too. I’m looking at a Macbook Air fully decked out. A friend of mine has one and it’s lighter and faster – and much more expensive too. I have both, a Macbook Pro and Windows machine, I love ’em both but seem to be drawn to my Mac a bit more. Next post: Did you know you can manage your money using an iPhone?